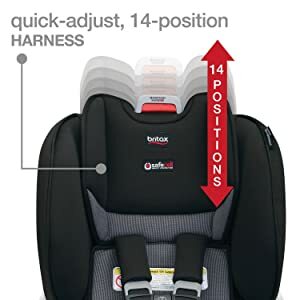 This car seat has the Britax ClickTight Installation System, Anti-Rebound Bar, a layer of side impact protection, and SafeCell Impact Protection. 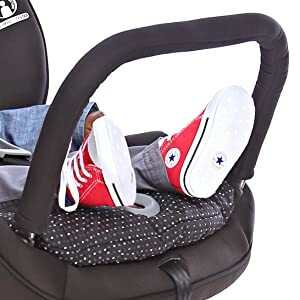 Open the front of the car seat, buckle the seat belt across and click the seat shut. That's all you need to do for rock-solid installation. SafeCell includes a steel frame, energy-absorbing base, and impact-absorbing tether with staged-release stitches that slow and reduce forward movement during the event of a crash. 14-position harness: change the height with a push of a button. With one click, you know you’ve accurately installed the seat. 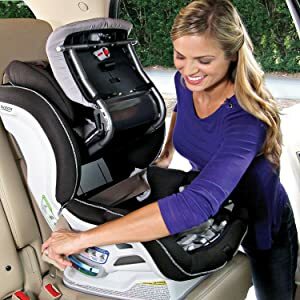 Manage harmful crash energy and reduce injury risk by limiting child impact with vehicle seat back.